As I listened to John Rocco's keynote last fall at the Mazza Museum, I wrote a note in my journal, "b/c loved books." Rocco said that it was his love of books that drove him to return to creating children's books after many years away from the field of children's literature. I wanted to know more about this so I googled, "John Rocco loves books." 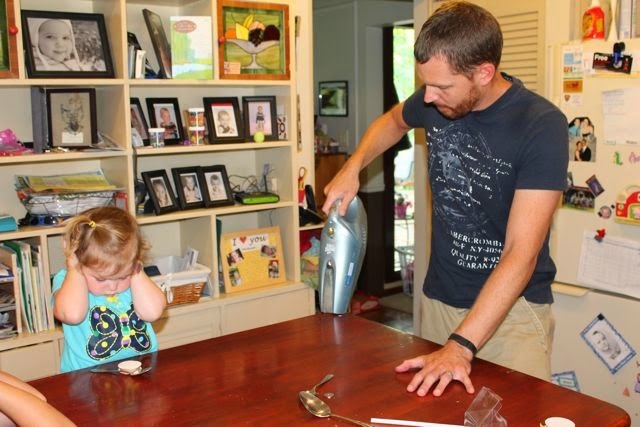 I found a short passage that John wrote that explained his love further, "I feel that picture books are the connective tissue between a parent and a child. Reading a picture book with a child is a sacred and special time. It's the one time in a busy day where you stop everything, snuggle up on the couch, or the floor and share a story." (Picture Book Month 2012). I don't think I have heard the act of reading picture books to a child described any better. 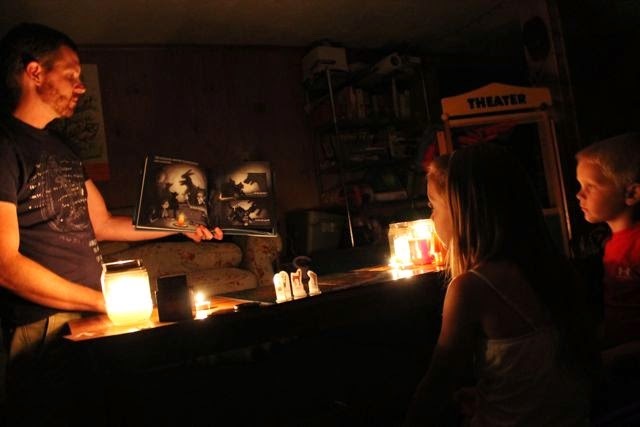 John Rocco has illustrated eight picture books including the 2012 Caldecott Honor Book, Blackout, which is one of five books in which he was also the author. He also has illustrated the popular chapter book series by Rick Riordan, Percy Jackson and the Olympians, The Kane Chronicles, and The Heroes of Olympus. Rocco's story of becoming a children's book illustrator is unique. He didn't start "seriously" drawing until the age of 19. (Roccoart.com). Additionally, he illustrated his first picture book in 1992, Alice by Whoopi Goldberg, after graduating from School of Visual Arts in New York, but did not illustrate another until 2005 when he designed the cover for The Lightning Thief by Rick Riordan (Orlando Museum of Art). John Rocco was quite busy during the time between Alice and The Lightning Thief. He designed theme park attractions for Disney, served as pre-production art director for the DreamWorks animated film, Shrek, and worked on many other television and video game projects. (Mazza Museum Keynote, Fall Conference 2013). My family loved the artwork in all his books. When my wife commented on how much she liked them I recalled what John Rocco said in his keynote speech, "I don't have a natural gift. Drawing is like trying to eat an elephant, one bite at a time." He went on to talk about his time in art school, "I was determined to work harder than the more experienced student." Well, I believe his hard work has paid off. His latest picture book, How to Train a Train by Jason Carter Eaton, was a hit with my children. Plus, he just released the chapter book Swim That Rock with his best friend and co-author Jay Primiano, which I LOVED! 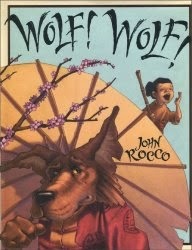 Unquestionably my family's favorite book we read this week by John Rocco was Moonpowder, published in 2008. In this story, Eli is having trouble with a reoccurring nightmare and vows to never sleep again. 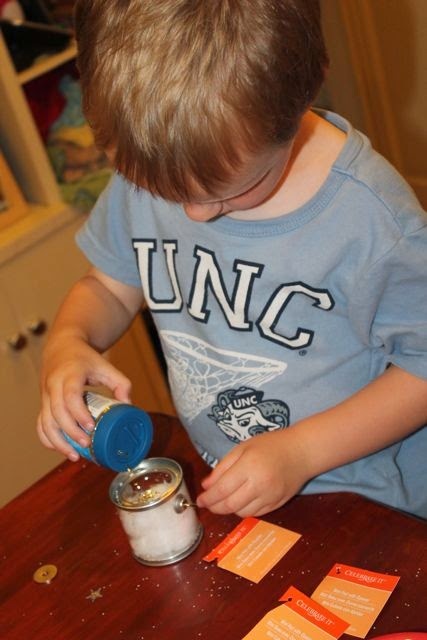 He is up late tinkering with his inventions when he is visited by Mr. Moon. Mr. Moon is aware of Eli's uncanny ability to "fix all things fixable" and tells him that the Moonpowder Factory is not working which is why he was having trouble with nightmares. 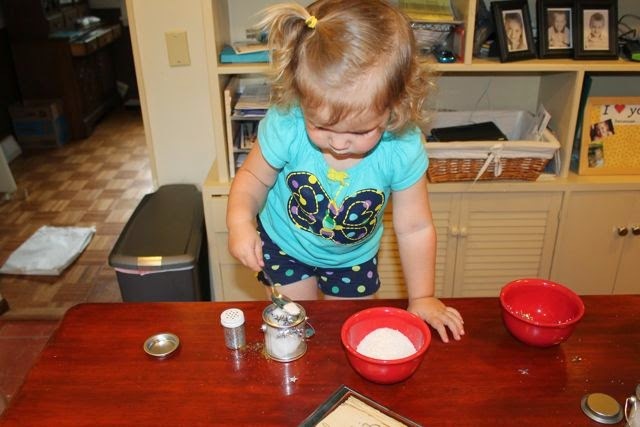 Moonpowder ensures that children will have sweet dreams. Eli and Mr. Moon travel to the Moonpowder factory and discover that the Dream Tank is empty which is not good because the only remaining Moonpowder is supposedly in the S.E.D.K. (Special Emergency Dream Kit) that is in Mother Nature's closet. Mr. Moon needs Eli's help to recover the Moonpowder to get the factory started again to keep nightmares away from the children of Earth. 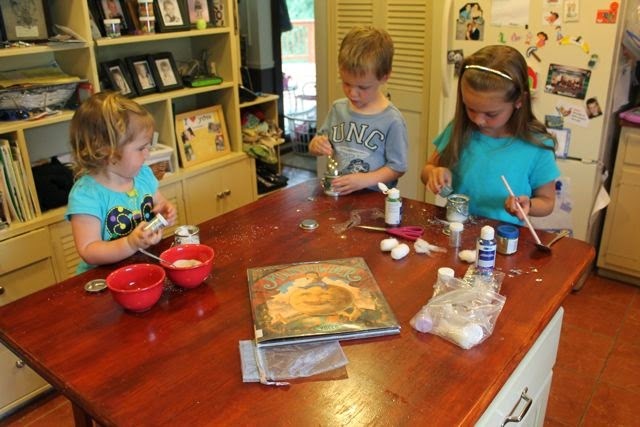 I had an idea for a family reading experience that I never dreamed would be so much fun and exciting for my children. We were going to make a S.E.D.K. 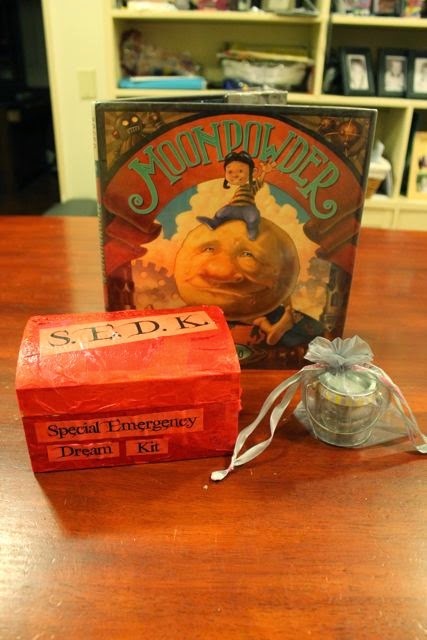 (Special Emergency Dream Kit) and fill it with Moonpowder to ensure that we never run out. We don't want any nightmares! 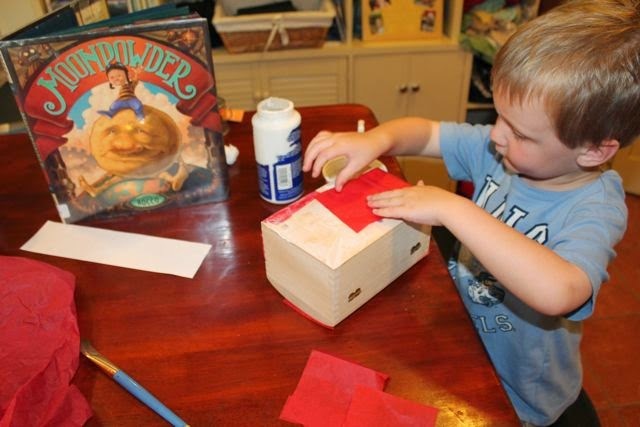 I found a small wooden chest in our craft box that I picked up at a garage sale last year. 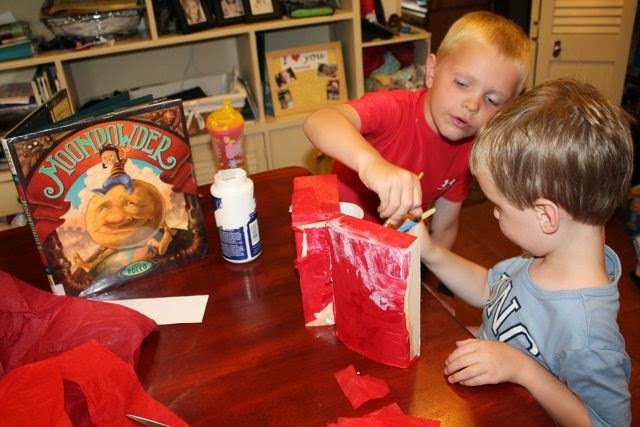 My boys worked together to decoupage red tissue paper on the outside of the box to turn this ordinary wooden box into the S.E.D.K. 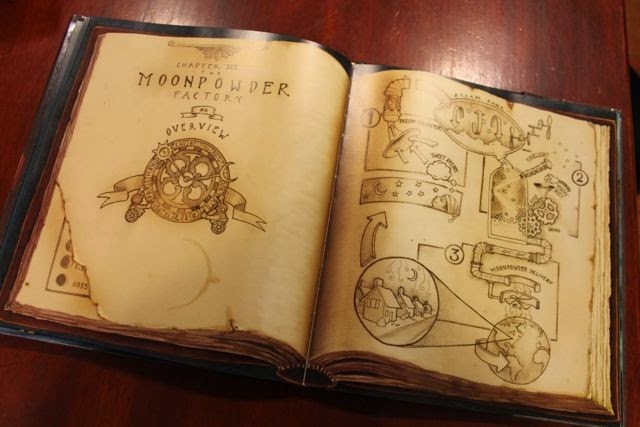 Then, we reviewed the illustration from the book on how to create Moonpowder. We needed sweet dreams, starlight, and moon dust. Next, we needed to add starlight. 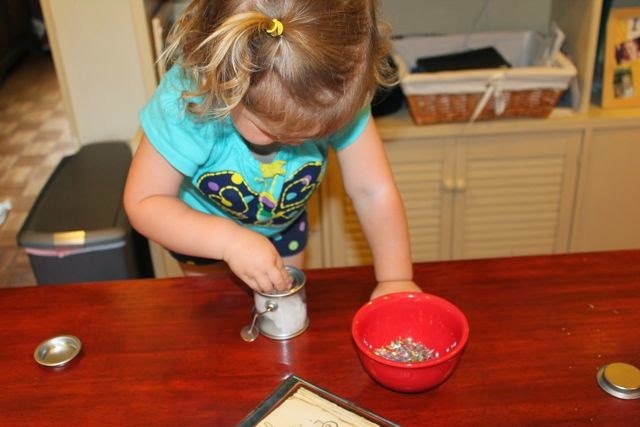 We found silver stars in the glitter aisle at Michael's that were perfect for starlight. We also added all different colors of glitter to represent starlight. Lastly, we needed moon dust. 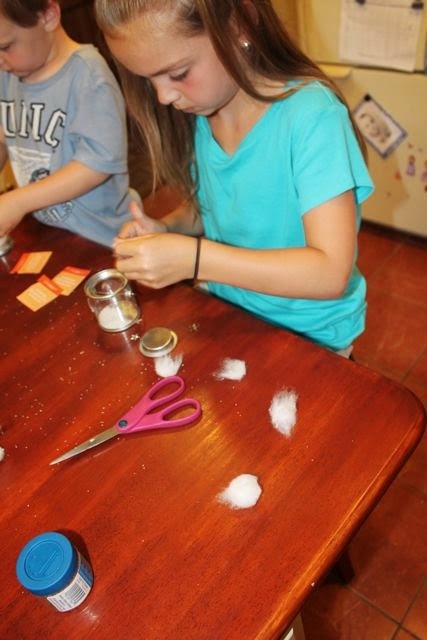 We used white decorative sand to represent the moon dust. This was a blast! A messy blast! It was nothing the handheld sweeper couldn't handle. "Dad, that's loud!" A close up view of our Moonpowder. Tonight before bed my boys asked for me to open the S.E.D.K. 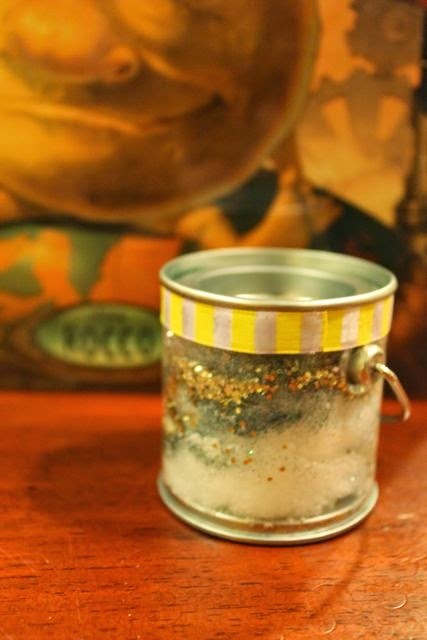 and sprinkle Moonpowder on their bed so they would have sweet dreams. I pretended to shake the Moonpowder from the pail onto their bed. I am sure they will have sweet dreams tonight. Thank you John Rocco for writing a book that became the "connective tissue" between me and my children. There was one more thing that I wanted to do before our birthday celebration for John Rocco would be complete. We needed to have a blackout. After my two younger children went to bed, my older two children were allowed to stay up late to read Blackout. In this story, the city is busy. The family is busy too. But, then the power goes out. 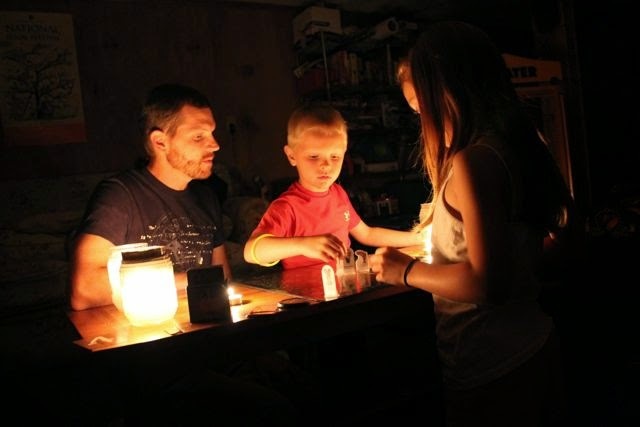 What do you do when there is a blackout? In Blackout, the family finds great joy in spending time together without any distractions. 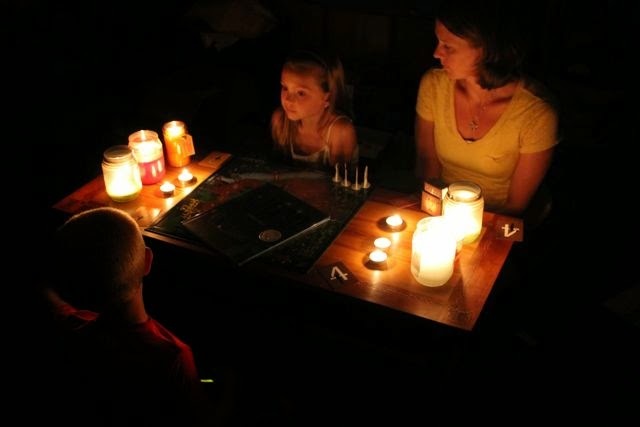 In our pretend blackout, we lit candles and played a board game together. We also read Blackout by candlelight. It wasn't a "normal" thing to do on a summer night during the week of John Rocco's birthday. But, "not everyone likes normal."